Spitting Pig is one of Lutterworths many hidden gems, a leader in hog roast innovation and an exponent of highly professional catering services, we can package hog roasts for any client or event. 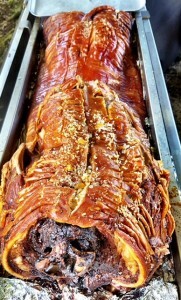 Hog roast catering is accessibile to all, we cater throughout Lutterworth, making hog roasts for all purposes, from the age-old market to corporate occasions. 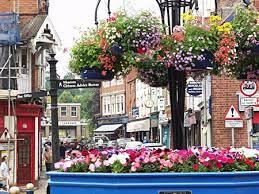 Weddings and party events are equally in demand. Amongst flight enthusiasts Lutterworth is known for being the source of the engine for the very first jet aeroplane, many will have seen a statue to this on the well known Whittle Roundabout, following in the trend we’ve also taken off, taken flight in our own way with hog roast packages, traditional and modern, found regularly at many important events in Lutterworth. We make a cracking roast pig, the best recognised of which is roast pig in a roll, the pig before being roasted is salted which is how we make our celebrated crunchy crackling. The pig isn’t all that we pay close attention to or put great effort into making, we’re just as focused when making fresh chef created tangy apple sauce and steaming-hot stuffing, not forgetting to mention fragrant, floured rolls of bread. Making amazing hog roasts isn’t all that makes us the popular hog roasting close-knit team we are, hog roasts are succulent and special even when made by an amateur who is hog roasting for the first time, what makes us so successful, aside from that we do make the best hog roasts, is that the service packaged with the roast pigs is better than anything else in Lutterworth. For special events – weddings, birthday party’s and business breakfasts being a few examples – what people want aside from cracking food is cracking service, special service, that’s something that Spitting Pig does best for our Lutterworth clients. We never take for granted our hog roast Lutterworth popularity, in fact we cater for each client as if they were our only client, this approach works wonders, there’s no place for complacency with Spitting Pig. More than anything we have a creative hog roast Lutterworth eye, an eye that’s led to numerous menu categories and even more distinct individual menus within. When you head on over to the menu page after reading this you’ll see just how many menus there are, and how with each there’s different possibilities and for different events. You’ll see menus from a spit snack meal for business breakfasts or the sit-down menu for a wedding, which is jam-packed from beginning to end with crazy amounts of vibrant foods. When we’re on a catering job in town the hog roasts we make are integral to the success of an event, so mistakes aren’t an option. We plan meticulously and have the highest level of hog roast chefs on board, ensuring there’s never a misstep, the food is 5/5 standard everyday and event of the week. The engine behind our catering, one of the driving forces, is the hog roast machines that our chefs and engineers have developed. These machines can be hired for your event or for commercial hire. 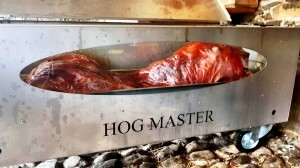 Hog roast hire Lutterworth is an opportunity for all, easy access to tray machines and spit roast machine models, a game changing investment that gives you the event results needed and also allows you to immerse yourself in hog roasting and have a real fun day of it. When you hire a machine we’ll sell you one of our own pigs if you want, we’ll even tell you some hog roast secrets and tips, to give you the added edge on the day. Hog roast hire Lutterworth is now a very popular Spitting Pig service, second only to catering, and we have a specific hog roast hire page on our website for all your hire needs in Balsall Common. 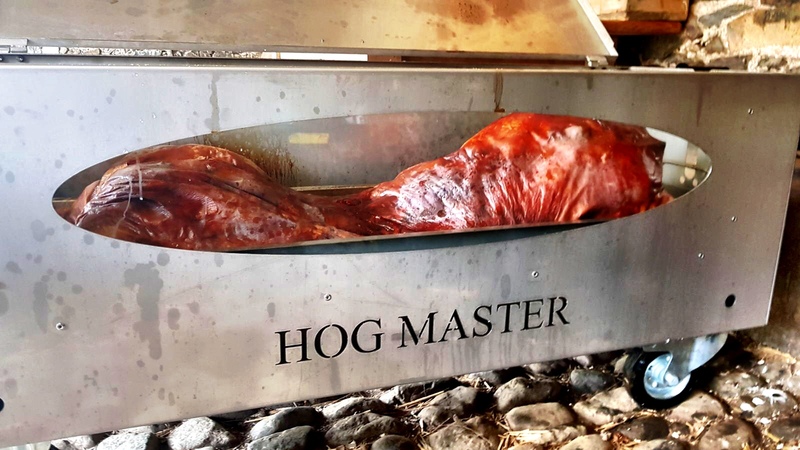 There’s detailed information about each of our machine models, as well as a fair share of great hog and spit roast ideas for when you use hog roast hire Lutterworth. The website has a wealth on information on it where you can really find out how we’re able to help you, what we’ll do to improve your event experience, to give guests a non-forgettable time. As you’d expect we have menu pages with a section for corporate catering, wedding catering and party catering, there’s also an additional page set-up just for hog roast hire, a hidden gem is the blog/news area, you’ll find detailed descriptions of our activities on the hog blog, written from the perspective of our chefs, that will give you a great idea of what a hog roast is like.